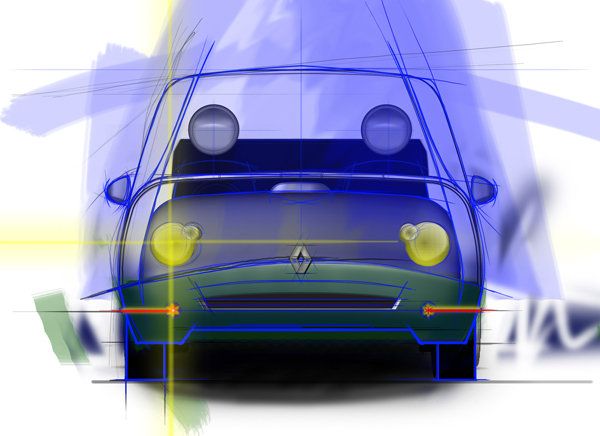 Case study 4: Twingo 2015 a community car concept | J. Ricardo Mejía S.
The Renault Twingo is a city car built by French automaker Renault, first presented at the Paris Motor Show in September 1992 and sold in continental European markets from 1993. The second generation Twingo was launched in Summer 2007. After several analysis the team had concluded that the new Twingo 2007 is not coherent with the company brand, in two different levels; the Twingo 2007 brand identity (internally – how you want the consumer to perceive its product or its brand – e.g. coherence within its portfolio) and its brand image (externally – the perception of your product or your brand by the consumer); and because its “raison d’être” changed without any reasonable justification. Twingo 2007 is not anymore a fun and active car. After that analysis the basic assignment consisted in design a new model of Twingo trying to bridge the gap between the brand image and the brand identity. A set of two basic steps (product deconstruction and product design) was completed following a novel approach from the TUDelf called Vision in Product Design. Deconstruction (product level) The first step of deconstruction phase of the ViP process is analysis at the product level. The analysis was done by finding all underlying factors that result in the product (Lloyd, Hekker, & van Dijk, 2006). The team began the process by first understanding all the quantitative and qualitative value of the product itself. 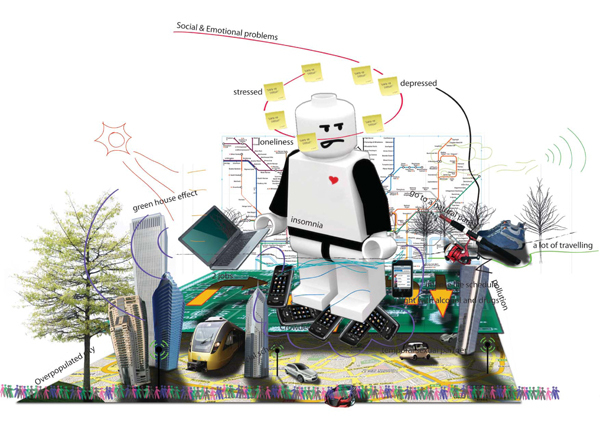 A set of tools that provide information about the context (business environment and user context) and the product itself (its characteristics, features, and its interaction between user and product) was used during the product deconstruction. Based on the product deconstruction of the interior and exterior of the Renault Twingo 2007 the team started the design phase. This step had included the definition of the domain and context factors, the vision, mission, and the future interaction. Based on the previous information was possible to define the character of the car (its leitmotif) and then design the vehicle itself. Herewith a short list of the analysis and results. The car is part of the domain of young starters with a medium income that live or work in the city. The world in 2022 will be impersonal and chaotic, with small places that are still peaceful and quiet. People need a refugee from their busy working life. When they are not working they need time to relax and take their mind of their professional problems. The social contact is limited because of the high development on the digital communication systems; the people need affection and intimacy. Most of the time people live alone. The level of the information technology has improved drastically and can communicate very well with the navigational system. The interior of the car has to be a smart and comfortable place for the user. 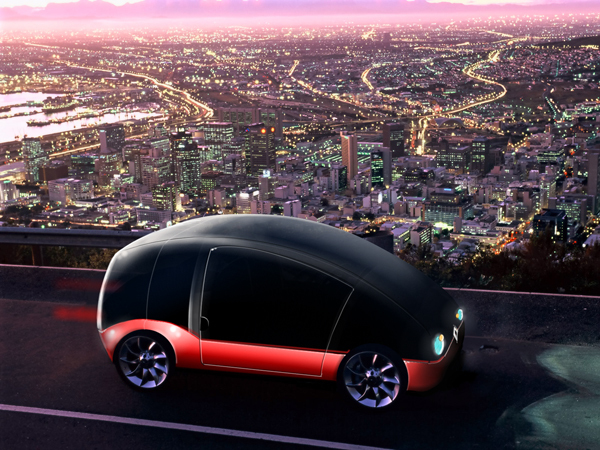 Smart in the way that the car can react to the user as well as the city or roads it travels on. When the user goes out of the car should feel better than when he or she stepped into the car. The entire interior is customizable. There a different ways to connect to your social network and the information about the city inside the car. The exterior of the car is a safe shell and has a friendly and appealing look, in this way the surroundings smile when seeing it. The exterior is also customizable. The car is environment friendly, it is compact and aerodynamic. Renewable and recycled plastics are being used.